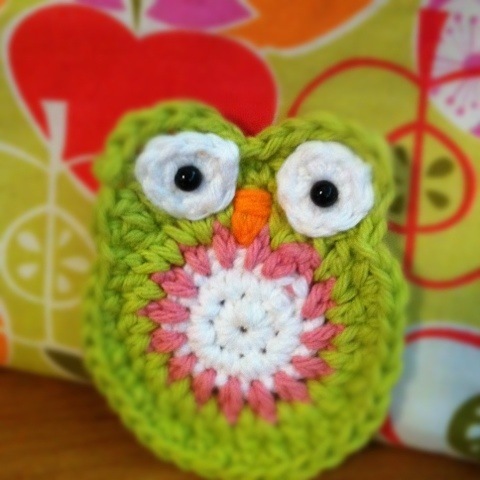 Found a pattern for this cute owl in my blog reader this morning. The tutorial can be found here. I am going to make them into pins. The purple one was made exactly as tutorial indicated. Sugar and Cream Cotton with a 5.00 mm hook. This one was made with the same cotton yarn, I used a 4.00mm hook on this one. 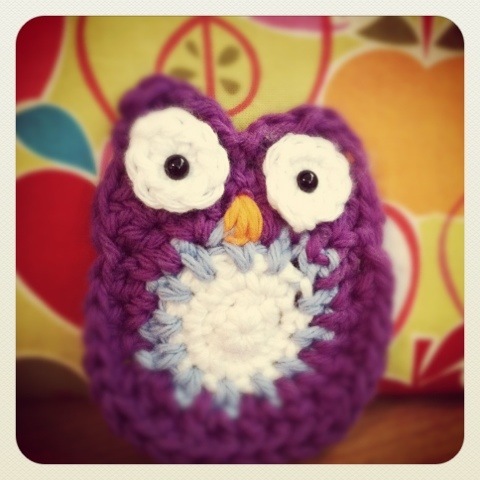 This entry was posted on Tuesday, February 28th, 2012 at 12:36 pm	and tagged with cotton, owl and posted in Crochet, Instagram, Photos. You can follow any responses to this entry through the RSS 2.0 feed. Thank you for the link, these owls are very cute.